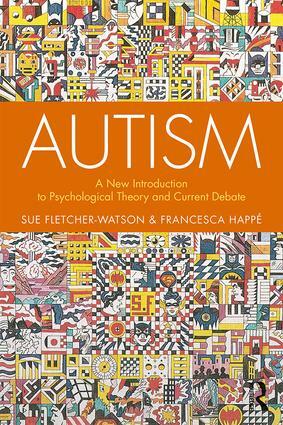 Written from the perspective of British autism researchers with expertise in both theoretical and practical aspects of autism, Sue Fletcher-Watson and Francesca Happé’s Autism: A New Introduction to Psychological Theory and Current Debate is a brief, readable volume about clinical constructions of autism, autistic people’s lived experiences, and philosophical debates about how autism should be approached by professionals and advocates. While the book is technically a reissue—the original was written back in 1995—the content has been entirely revised to reflect current research, policy, and advocacy. In particular, the authors have made a conscious effort to include autistic people throughout the writing process, including sections written by autistic advocates after every chapter. Fletcher-Watson and Happé do not focus solely on the inclusion of autistic people within society at large; they also discuss the ways in which autism intersects with other forms of marginalisation or oppression, including LGBTQ identity and race. 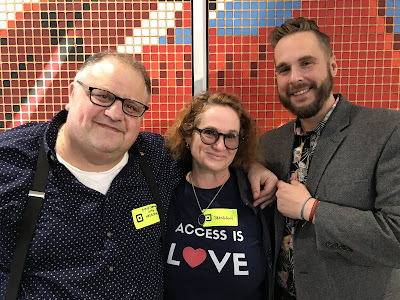 While autism and intersectionality are not the specific focus of the book, it is still relieving to see the authors address autism, and disability more generally, within a framework that takes into account our complex, multilayered lives. 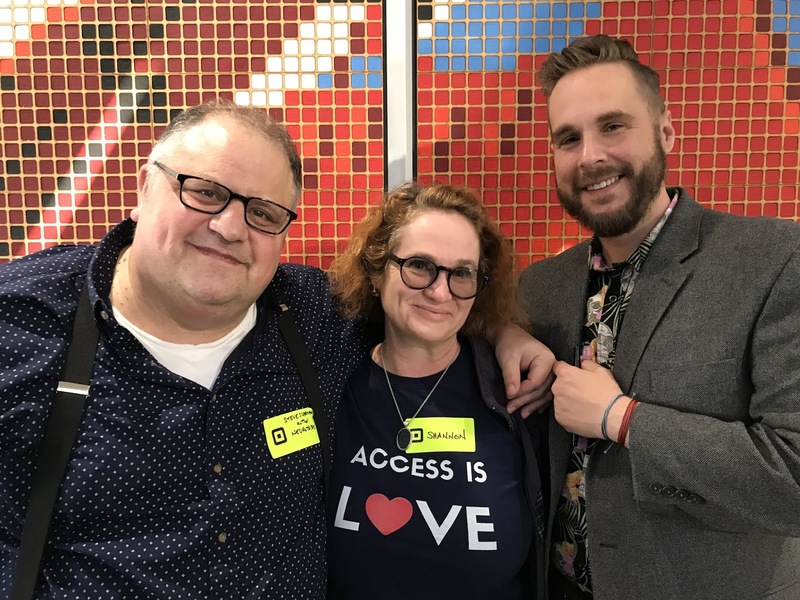 This was particularly heartening for me to see, since I myself live at the intersection of autism, queerness and blackness that sometimes causes me to feel isolated from the general population. Far too often, researchers treat autism as an atomised phenomenon that is utterly deracinated from the rest of people’s lives, even though absolutely nobody has a single-issue life, autistic or not. People are complex and have lives that are entwined with others’ complexities. The authors start with a summary of historical constructions of autism, primarily those of Hans Asperger, Leo Kanner, Uta Frith, and Lorna Wing. They then juxtapose these historical models of autism with more recent ones created by autistic advocates like Jim Sinclair, who reconceptualise autism as a disability under the social model, rather than a deficit inherent to the individual that the medical model often promotes. After these historical summaries, Fletcher-Watson and Happé detail current scientific research about biological and behavioural representations of autism, including prevalence, diagnoses, lifespan development, and neuroscientific findings. When they transition from facts to hypothetical constructs, Fletcher-Watson and Happé describe what makes a good theory: concrete predictions, causality, interpretations of the evidence, explanations of the patterns of characteristics among autistic people, alignment with empirical science, and input from autistic people ourselves throughout the process. Afterwards, they introduce “primary deficit” models of autism and their offshoots: interpretations of autism that see it as wholly negative and suggest a singular cause for the constellation of autistic traits. Fletcher-Watson and Happé focus primarily on the Theory of Mind model, including Simon Baron-Cohen’s empathising/systemising construct, in which autistic people have a core difficulty with perceiving others’ states of mind. Similar deficit models include the idea of “weak central coherence,” or autistic people’s difficulty generalising from specific instances. The authors are careful to mention that these deficit-centric theories have shown to be inconclusive in empirical research and have been repeatedly called into question by autistic people. They explicitly note that Baron-Cohen’s idea that autistic people exhibit “reduced empathy” is a harmful, dehumanising idea that “betrays a significant lack of empathy on the part of the non-autistic observer” (Fletcher-Watson & Happé, 2019, p. 130). Fletcher-Watson and Happé counter these deficit-centric models with explanations that treat autism as a complex combination of advantages and disadvantages. For example, developmental trajectory models propose that autism arises through atypical development over the lifespan, similar to that of the value-neutral “asynchronous development” model used in gifted-education circles. The authors conclude by noting that no one cognitive, social, or experiential model can fully capture the differences between autistic and non-autistic people, that evidence-based interventions should be focused on quality of life, rather than “curing” autistic people, and that researchers should take into account the societal impact of autism research when conducting studies. Fletcher-Watson and Happé have provided a strong antidote to the gloom-and-doom, causation- and normalisation-focused autism research field in this roughly 200-page volume. The difference between this book and other academic autism books also reflects significant cultural differences in international autism-research priorities. As researchers based in the United Kingdom, Fletcher-Watson and Happé exemplify the massive gulf between British approaches to clinical autism research and their American counterparts. While some researchers in the US have started moving towards incorporating autistic people’s voices, focusing on quality of life, and drawing on the social model, most of them still adhere strictly to a deficit model of autism that focuses on causation and treatment. For example, the recent Assessment of Autism Spectrum Disorder: Critical Issues in Clinical, Forensic, and School Settings (Kroncke et al, 2016) and the Essential Clinical Guide to Understanding and Treating Autism (Volkmar & Wiesner, 2017), both written or edited by American autism researchers, use a traditional deficit model that does not incorporate the views of autistic people. Some of these authors are so disconnected from our community that they claim that we generally prefer “people with autism,” and that “autistic” is an outdated term. If they had included autistic voices or read articles by autistic people at any point in their research, it’s less likely that they would make such a statement. This false claim is a reflection of epistemic injustice against autistic people, or the idea that we’re less credible because of who we are. Autism, on the other hand, weaves the insights and experiences of autistic people throughout the book. While it is not perfect—no book is—the difference between this book and the other two I mentioned is easy to appreciate. American autism researchers should abandon the “not invented here” syndrome and draw from international literature on autism that places our voices at the forefront. Fletcher-Watson and Happé have provided this groundwork through their thoughtful, even-handed treatment of autism, its theoretical constructions, and autistic people’s experiences.